Buy and Download > Description These " How to" Plumbing videos are a must. Even if you feel you know everything there is to know about plumbing repairs, there is something in these videos for you. Just imagine if you could watch a plumber install and repair plumbing day by day, hour after hour. Could you imagine what you would learn? Yes, you could learn enough to start your own plumbing repair service. Not only would you save money, but you can make money. Well, your wish has come true. On these videos you will find and learn all the tricks of the trade that the pros already know. No more biting your nails when you call the plumber. No more taking off from work, staying at home waiting for the plumber to show up only to have him / her call you to say he or she may have to reschedule. With these plumbing videos you will be impressed and happy to know the knowledge is just an arm's reach away. Pick up any one of the videos toilet, bath, sink, tub and shower, kitchen sink, hot water heater and the sump pump. The list goes on. 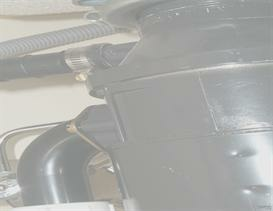 Every video has been created by a licensed plumber with over 25 years experience in plumbing repairs services. You will be watching a real plumber doing service, not someone that can just talk the talk, but can walk the walk. There are no plumbing videos out there like these. It took years to develop these videos. We know there is a need out there for these plumbing repair videos. After years of plumbing service, we have come across many people who could really not afford a plumber and went years without plumbing services, even to the point that they would have to move from their home or pay thousands of dollars for plumbing repairs. If only these people had this knowledge, they could and would have saved their home and their money. We know you are out there. We have come to save the day. Everyone does not have $90 to $200 to have a plumber come out just to tell them what the problem is and what it will cost to fix. We are not trying to put plumbers out of work. We are just trying to keep you out of the red. There will still be times when you may need a plumber, but wouldn’t you feel good understanding what the plumber is doing and what you are getting for your money. You know that you are not going to be cheated because you have a better understanding of the problem and how it can be fixed.